The Crystal of the Day for Thursday 12 December 2013 is Blue Tourmaline (Indicolite), which corresponds with Jupiter. 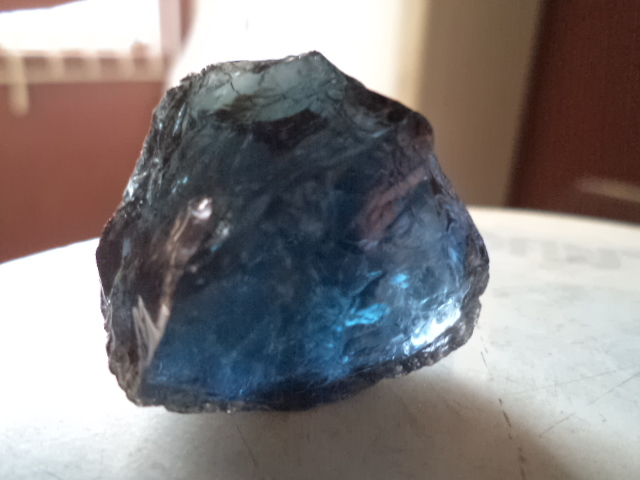 Indicolite is blue tourmaline, which is probably the rarest form of tourmaline. As a type of tourmaline it has those properties in addition to its own. Indicolite corresponds to all chakras in terms of clearing, but particularly to the throat and third eye chakras. It is said to aid in the quest for spiritual growth. It increases psychic awareness, and increases healing powers. Indicolite can also bring happiness and laughter to your life. It also promotes inspiration of all kinds, and lessens fear. Indicolite is a protective stone that can dispel curses and protect from all dangers. In the physical realm, indicolite is said to benefit the lungs, larynx, thyroid, heart, internal organs, and parasympathetic nerves.Tourmaline promotes safe procreation and grant potency to men. Tourmaline increases flexibility, happiness, hope, objectivity, compassion and serenity. It also enhances tolerance and understanding. It is a stone that is very helpful for channeling. Tourmaline is also a very protecting stone. It is called the Poet’s Stone. Tourmalines of any colour have positive influence on endocrine and nervous systems. They eliminate fears, sharpen attentiveness to other people’s feelings and needs. Tourmaline is believed to strengthen the body and spirit, especially the nervous system, blood, and lymphs. It is also thought to inspire creativity and was used extensively as a tailsman by artists and writers.